Instead of a poem from Guinea, we have a lovely song, Carolina by poet and politician, Keïta Fodéba. Fodéba Keïta (1921- 1969) was a Guinean dancer, poet, writer, and politician. Though he arranged Liberté, the national anthem of Guinea, his works were banned in French Africa as he was considered radical and anticolonial. 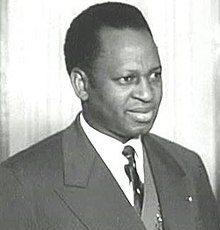 In 1961, Keïta was appointed minister for defense and security. He was later imprisoned in the infamous Camp Boiro, a prison he himself helped construct, for alleged complicity in a plot and was subjected to torture (“diet noire” – complete food and fluid withdrawal). On May 27, 1969, he was shot dead without trial.